In more urbanized places such as Metro Manila, there are multiple transportation options at your disposal ~ jeeps, taxis, buses, MRT / LRT, your own car or Grab. However, if you’re venturing to provinces outside the country’s capital, you’ll have to take other things… or be more creative. This post was actually inspired by Amber Folkman’s, spicy woman behind A Momma Abroad, #PerksOfPinas30DayChallenge! I’ve been posting daily (well, trying to) because it really is fun and it’s so Pinoy hehe! I just love the thought and creativity put into it! Here’s a fun list of transportation options you’ll come across with when you’re in the Philippines… especially when you’re traveling around with kids! Since Ynigo started studying, we’ve been taking jeeps to go to school, or run some errands after. Normally, jeeps cost P 8.00 and if you’re with a child, they’re normally free for as long as you put them on your lap. To be honest, it may not be the safest ride as jeepney drivers are notorious drivers, but they’re one of the CHEAPEST ways to go around (apart from walking, of course). Jeeps can be one hell of a ride. One of our favorite modes of transportation. Ever since I was young, tricycles have been a fave. 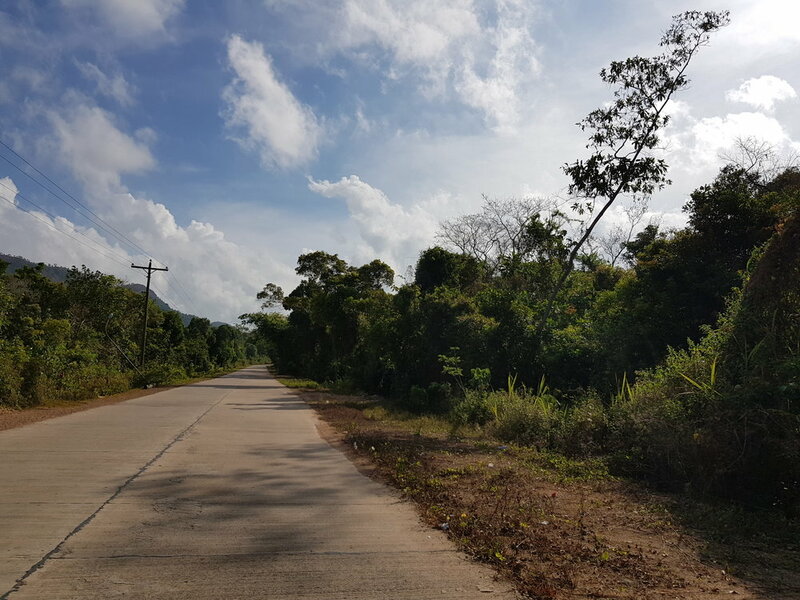 I go around the province in my uncle’s tricycle because it’s presko (“refreshing”) to ride in something so open, where you can see everything. There are tricycles almost anywhere. There are different variations of it depending on what province you are. Like the ones in Palawan look different than what you see in Manila! You can check this post by Limbonisku where he shares some designs you can find in the PH! Tricycles range around P 25-30 but they’re more expensive out of town. Like in Palawan, it costed us P 100-150 one way to go from our hotel to the Coron town proper (one way fare good for 3 adults). It costed us P 500 to rent out for a morning. We visited a neighboring barangay also in Coron. Kuya Nelson, our tryke driver, explained how gas is so expensive in their area, and how they solely depend on this ~ so if it isn’t peak season, they also don’t get a lot of riders. To be honest, we haven’t rode a bus with Yñigo except for the times we were overseas. However, my sister told me it wasn’t a bad experience at all. The Philippines has all sorts of bus companies that can take you anywhere. By anywhere, we mean up until the Cordilleras, or to the edge of Sorsogon. I’ve watched several backpackers / travelers who take buses and what’s important is that you check the schedule, and canvas also. 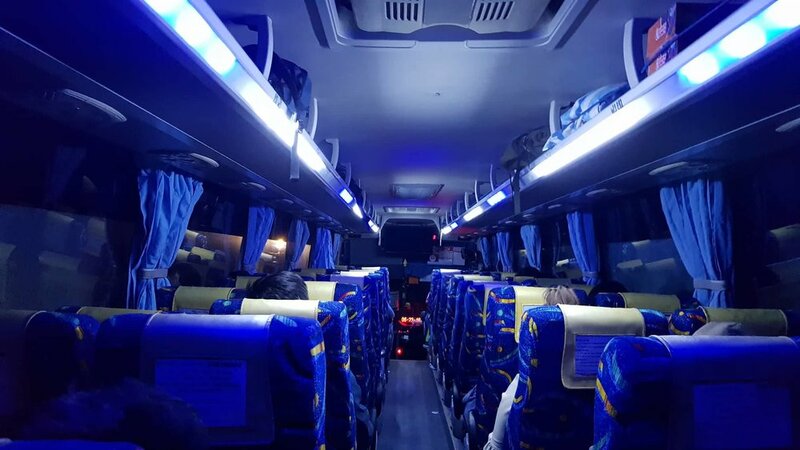 Some bus fares are cheaper, but if you’re having a 16-hour drive, we’d suggest you get the VIP or first class options. Yes, even buses have first class. If you’re lucky, you’ll get a decent Wifi signal, a bathroom and comfy seats! To fully explore the Philippines, apart from traveling on foot, you should take numerous boat rides. Our seas are home to such a rich and diverse collection of marine life - corals, fish, sharks, you name it. Boats can bring you to the best dive spots, places you can do snorkeling, or a secret virgin beach you can chillax at. 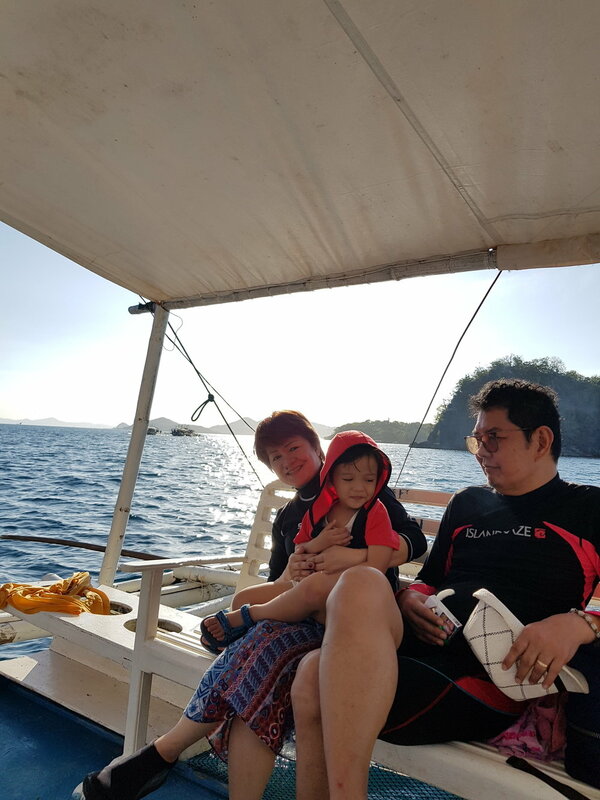 Bobby loves the sea - and is trying to make Ynigo and I love it too, so he makes it a point that we go to the open sea every chance we get. Just be mindful of how you affect the sea (or any place you go to) - do not pollute and observe respect to Mother Nature. 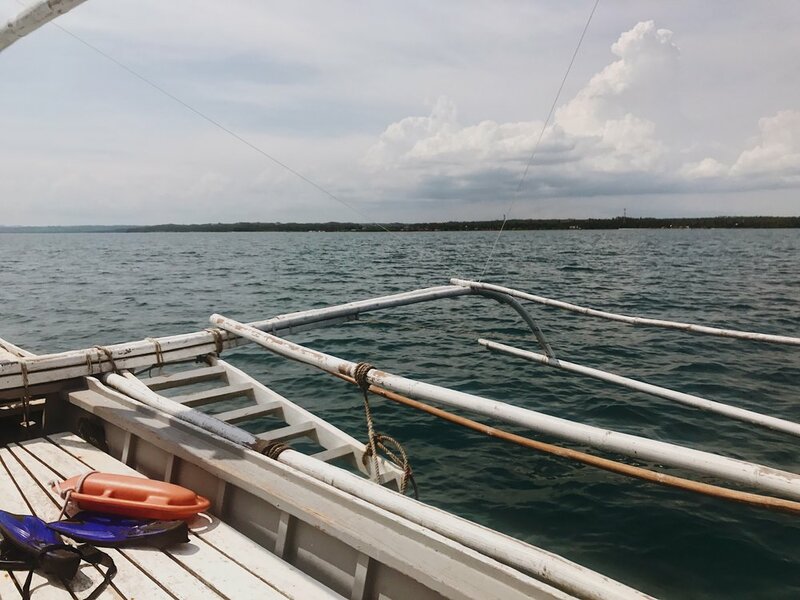 Again, depending where you are, boat rides can be for as low as P 100 per person, or if you’ll take a more high-end one (like what we did in Baler before), it costed us P 3,600+ to rent it privately. Plane rides would have to be the most expensive for us, but it’s definitely Ynigo’s favorite. Whenever we’re at an airport, all he wants to do is go to the big windows and spot the planes. Kulang nalang memorize na nya lahat ng airlines. He might become a pilot one day, haha. Kidding aside, when it comes to planes, we’ve had our best experience flying Sky Jet locally, and FlyScoot internationally. We didn’t have a pleasant experience with CebuPac (maybe we’ll make a review of the airlines we’ve already taken… soon) - though it is one of the cheapest flight options when traveling domestic. I love their seat sales! And we’re taking them when we go to Dumaguete next year! I’ve heard negative reviews about Air Asia but we haven’t had the chance to use that - so we’re giving the benefit of the doubt before we say anything. This has always been our preferred mode of traveling ‘cause we can stop wherever we want, sleep in here if we needed to, and go anywhere for as long there’s a road we can go through. Yup, we’ve driven all the way to Pagudpud, and all down to Sorsogon - something Bobby’s proud of ‘cause he did survive 12-16 hours of him just driving (with stops and rests in between). He loves driving & being on the road as much as he loves being in the water. We love taking time going to the place because it’s also part of the experience. In fact, all of the beautiful basket weaves I have at home are all because we saw it along the highways we drove on. We also discovered this yummy P 10 halo-halo somewhere in the hills of Camarines Sur on the way home. Ohhh, and whenever we’re driving to Sagada, we stop at the side of the road and take all that our eyes can take in. I guess that’s it. That’s how we get around the Philippines. We’re preparing for more trips where we can just trek and climb. I need to be physically fit again so I can keep up with my boys. Oh also my dream is to go through a province through a ‘habal-habal’ which are motorcycles you can hire so it can take you wherever. Imagine doing that with a three year old in tow? In some weird way, I find it exciting… but of course, safety first. I’ll let Ynigo ride a motorcycle when he’s thirteen! Anyway, sa mauulit! do you have a fun way of going around the philippines? or from anywhere you’re from? share them down below!